Speech given by Dr Nils Melzer, author of International Humanitarian Law – a Comprehensive Introduction, at the International Institute for Humanitarian Law, Sanremo, 9 September 2016. The new ICRC handbook on IHL by Dr Nils Melzer is available online for free download and may also be ordered in print on the ICRC e-Shop. Read more about the publication in this Q&A. I have been invited to speak to you about this book tonight – a book that I had the privilege to write in the past couple of years, with the input and support of many others. As its title says, it is a book about “international humanitarian law”. But I am not going to speak about this book – you can read it later. Nor about international humanitarian law – we have already done that all day long. I am going to do something different – I am going to tell you a story. A story, which will take us on a journey through some of the most crisis-shaken areas of this world, and which eventually will bring us back to this book. A story about a young lawyer who, some eighteen years ago, gave up his job at a District Court in peaceful Switzerland, and who turned down a career as a business attorney, to become a field delegate with the ICRC. At the Court, whenever one of our colleagues had finished their Court practice, we used to have these fare-well lunches at a nice restaurant. And in their farewell speeches, they would tell us how they would go on to be associate lawyers at some fancy law firm in Zürich, London or New York, or how they had been admitted to a graduate programme at Harvard, or how they had been recruited as corporate lawyers by a major industrial company. And every time there would be toasts, shoulder tapping and applause. But when it was finally my turn, and I proudly announced that I would not do any of these things, but that I was going to be a humanitarian worker for the Red Cross in areas of crisis and war, all these honorable judges and colleagues either just stared at me in disbelief, or looked down at the table in front of them – they were clearly convinced that I had gone completely crazy, and that I had no clue what I was getting into. And, of course, they were right – I didn’t have a clue. As a result of my decision, I have had the privilege to work with the ICRC for more than a decade and to speak to many victims of violence, from unaccompanied children in refugee camps to prisoners of war, and from families of missing persons to those wounded and maimed by the weapons of war. And what I have seen makes me painfully aware that my remarks here cannot even begin do justice to the suffering and agony of the millions of victims that are or have been ravaged by wars in every corner of this planet. War, as many of you know, is not an event you can “experience” without being fundamentally shaken, tormented, destabilized and changed. War is not “just” the occurrence of military confrontations, of combat with rifles, tanks and missiles. War is, first of all, the near total collapse of public services and social order, of stability, security and most of the structures and relationships we and our families rely on for our daily existence. War is also often the breakdown of trust in our environment, in our government, our fellow citizens, our employer, our neighbors and sometimes even our friends and family. Within a matter of days or even hours, war can make human beings feel and behave like they are animals, whether hunter or prey, a far cry from the lofty ideals of our civilizations, cultures and religions. When I first entered a war zone as a Red Cross delegate, I felt like being sucked into a black hole in space, a place where there is no light and no orientation, where everyone screams, suffers and scrambles for survival, and where there is no escape from the constant sensation of fear, instability and desperation. But at the same time, my work with war victims has also given me some of the most rewarding experiences of my life. The greatest highlights of my career were not the meetings with those in the high places, the kings, queens, ministers and generals, not the visits to palaces and command centers. One of the greatest rewards of my life has been to find an unaccompanied child in a huge refugee camp in the midst of a humanitarian crisis, and to be able to reunite that child with its parents who had ended up in a different refugee camp in a different country; or to be able to tell a family that we had discovered their son, who had been missing for sixteen years, safe and sound somewhere on the other side of the frontline and then to bring him back home. These are experiences you never forget and, thank God, I have had some of those, too. Friends, when I was asked to speak about this book today, I decided to speak about war instead and how I have experienced it myself. But then, in a way, attempting to speak about war is trying to speak about the unspeakable. For if you have not experienced war, you are unlikely to find the right words. And once you have personally experienced it, you may no longer be able to find the right words, because what you have experienced has left you speechless. So let me try to put this in a parable that will bring us back to our book: If you picture yourself in a tiny little boat on the high seas, then war is like a storm, a storm that is all-engulfing, that darkens the skies and makes waves that throw you around violently, and that cause you to lose sight of the horizon and, ultimately, any feeling of direction. In such an environment, you quickly feel sick and confused, you tend to lose your sense of orientation and your ability to act according to the right priorities. In such an environment, what you need is orientation, priorities, values, red lines, “do’s” and “don’ts” that do not need to be discussed, that are undisputable because they are universal, imperative and inherent in our very human nature – and because they are the very bottom-line we absolutely must respect if we do not want to slide down a slippery slope towards total arbitrariness and terror. And this bottom-line, dear friends, is international humanitarian law. It is not a “code of honor” or a guide to being “nice”, “polite”, or “good” in a situation of armed conflict. It is the bare minimum we have to respect to uphold our humanity in the chaos and destructiveness of a war zone. To me, it is the one star in the sky which always offers guidance to those involved in, or affected by, armed conflict – a guidance which is neither complicated nor complex, but which always reminds us of the humanity not only of our opponent, but also of our own humanity, a guidance which makes absolutely clear that – as inhumane as war may be – war is also inherently human and, therefore, that no war ever can be without limits. This, dear friends, is what this book is about, this is what this Institute is about, and this is what this Roundtable is about. As technical as our discussions may sometimes become, please, let us never forget that! 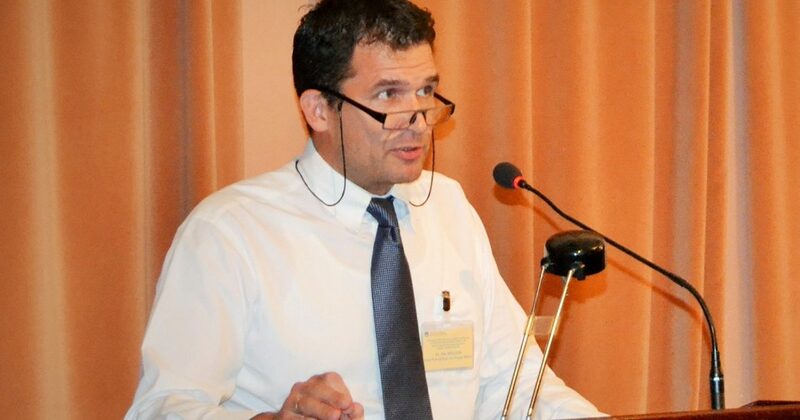 Dr Nils Melzer currently holds the Human Rights Chair at the Geneva Academy of International Humanitarian Law and Human Rights. On 30 September 2016 he was appointed as UN Special Rapporteur on Torture and Other Cruel, Inhuman and Degrading Treatment or Punishment.